In the wake of China’s decision to stop importing nearly half of the world’s scrap starting Jan. 1, particularly from the wealthiest nations, waste management operations across the country are struggling to process heavy volumes of paper and plastic that they can no longer unload on the Chinese. States such as Massachusetts and Oregon are lifting restrictions against pouring recyclable material into landfills to grant the operations some relief. China has been the world’s largest importer of scrap such as plastic since 1992, as part of an effort to turn garbage to gold through recycling. But a quarter century later, it determined that a huge volume of the plastics are mainly single-use items, such as garbage bags, bubble wrap, bottles and small packages, that are low in quality and value when recycled. Studies say that between 8.3 billion and 9 billion metric tons have been produced since 1950. That’s more than four Mount Everest’s worth of trash. According to a separate study released last year, all but 2 billion metric tons of that plastic still sits on the Earth as garbage in landfills, recycled trash or pollution scattered in the environment, including deep oceans where a plastic island twice the size of Texas floats. 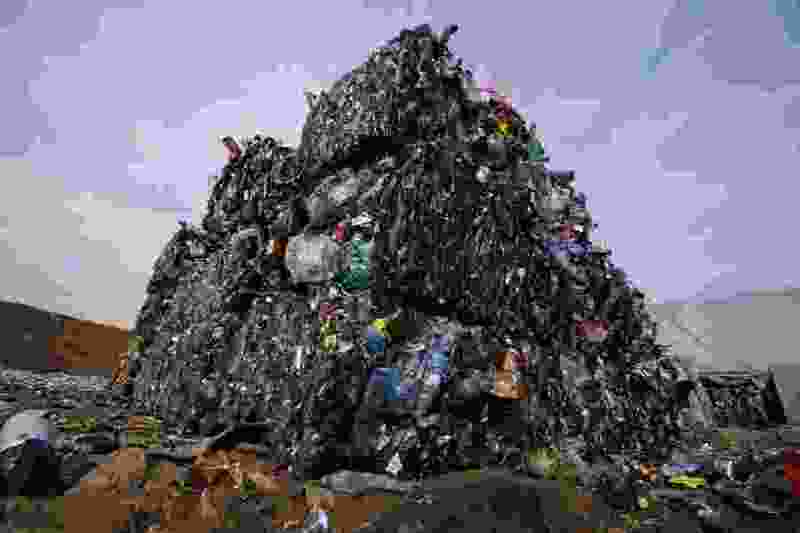 In 1960, plastic accounted for just 1 percent of junk in municipal landfills across the world. As single-package containers led to an explosion in convenience and use, that number grew to 10 percent in 2005. If the trend continues, researchers say 13 billion metric tons of plastic will sit in dumps.